Going to sleep after 4am didn't mesh well with the 7am alarm. Begrudgingly I got up and splashed some water on my face and got dressed. We are meeting at 7:30-ish for breakfast. It stormed earlier this morning. I remember hearing thunder. Eventually everyone made their way to the lounge. I had some juice. I'm not much for breakfast especially after minimal sleep. The bikes were repacked and warmed up. Donna got a rag and wiped the wet bike off. She is a ball of cleaning energy. 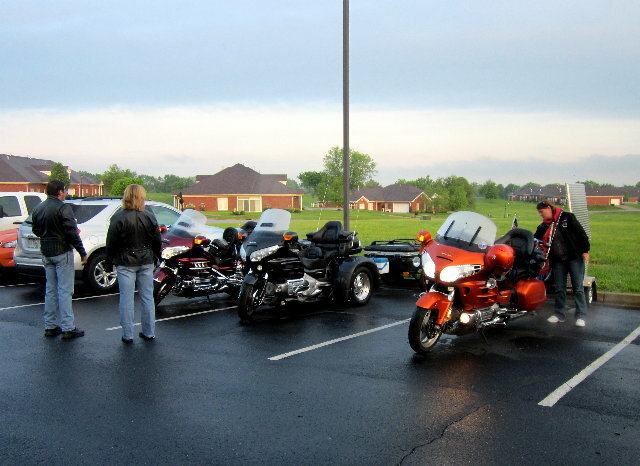 Shelbyville, KY. 7:53, mileage 70,530 - We rode helmetless to the gas station about 1/4 mile away. As we headed out my bike was running rough. It's did that a few times since I've had it when it is cold and wet. It always clears up after a few minutes (and it did this time) but it is always a little unsettling to feel the bike stumble. Year after year it gets harder and harder to find a different non-interstate route. This is our third trip to Georgia. 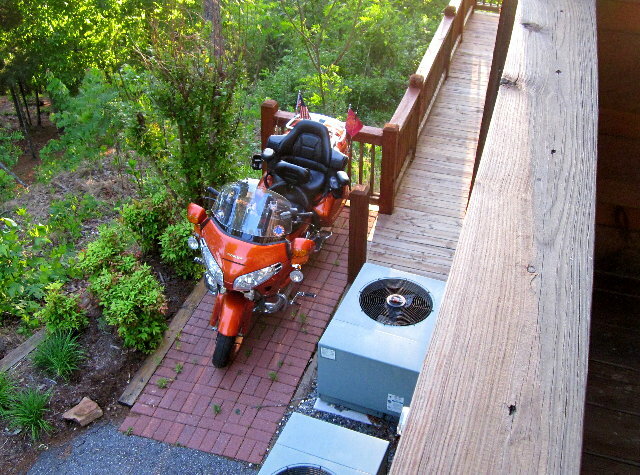 We've been to the Asheville area a couple times and the Smoky Mountains several times. 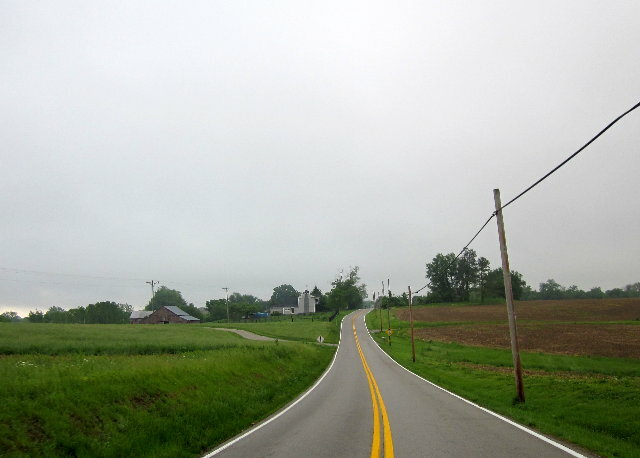 The route this morning will be KY-44 to Lawrenceburg, then US127 south. Gray skies, damp roads, and cold temperatures. 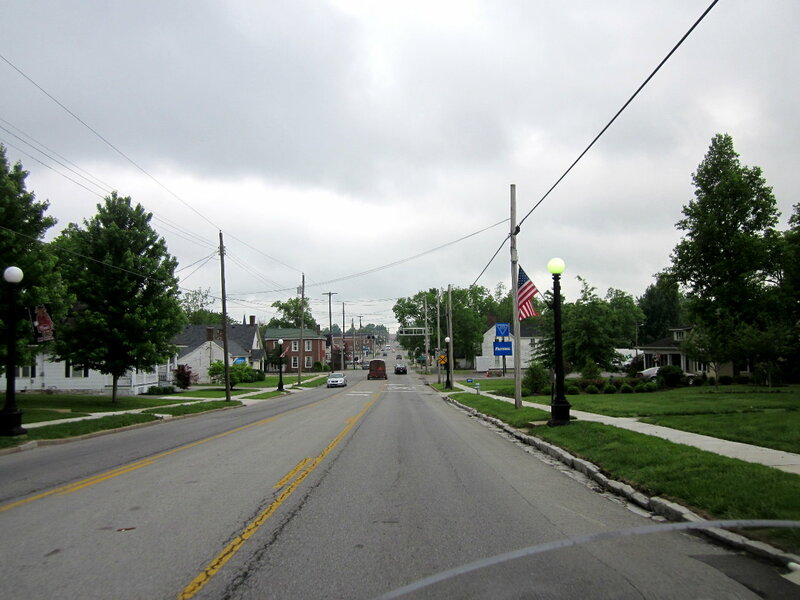 Riding through Harrodsburg reminds me of our 2006 trip. We all had cruisers. 60-70 miles was a 'long ride'. No communications. Not much in the way of weather protection. It's cool how far we've come. 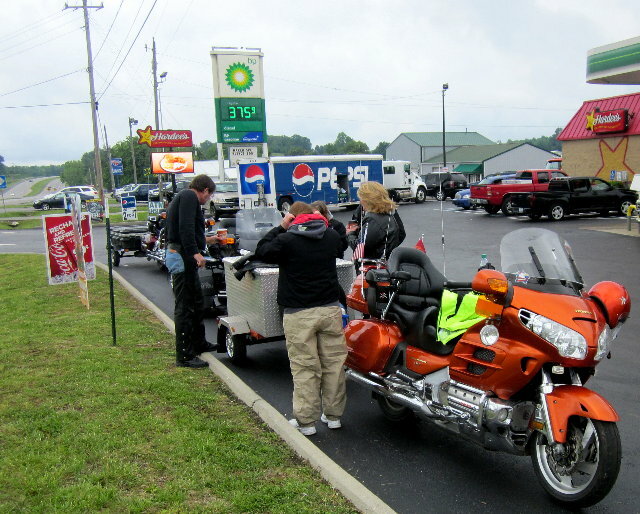 Somerset, KY. 9:58, mileage 70,627 - As we approached Somerset Donna mentioned she was ready for a bathroom stop if something appeared. 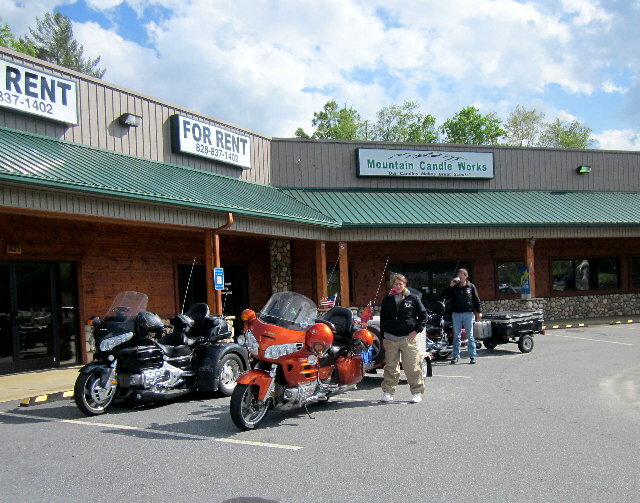 I had been looking for a place to stop for a while since we'd ridden for over 90 miles. I spied a BP sign down the road and told Donna we'd stop there. About a second later I saw a metallic black flash pass me with Debby flapping her arms. That is our sign for a bathroom stop. John pulled into the BP station. Great minds think alike. He had been trying to radio me but my speaker connection had come loose again. We stood around for awhile warming up and checking the weather. 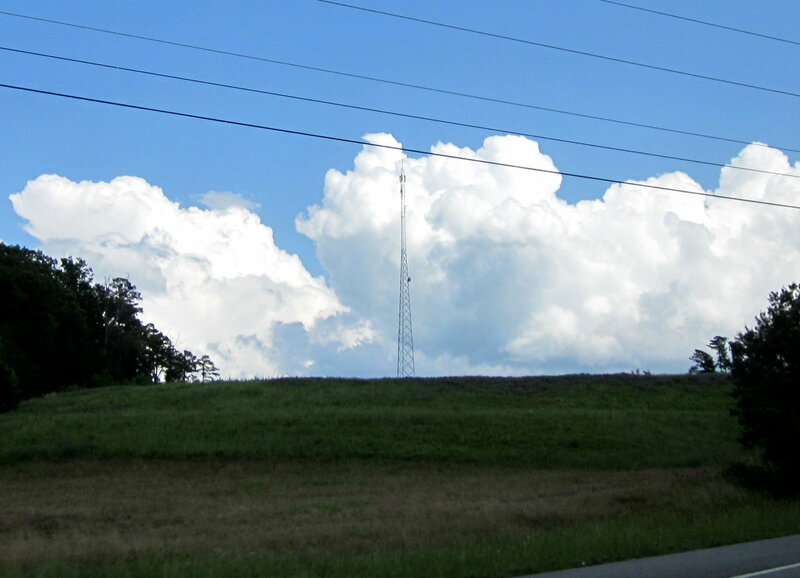 There were spotty showers here and there but none threatening us. I jiggled my speaker connection and got it working again. 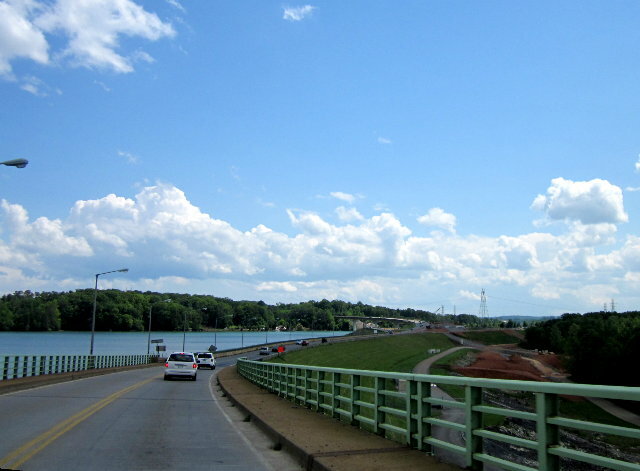 As we rode through Somerset (the city of a thousand unsequenced stoplights) I remembered being here in 2006, in 2009 with Mike Padgett, and in 2012 on a fall bike trip. 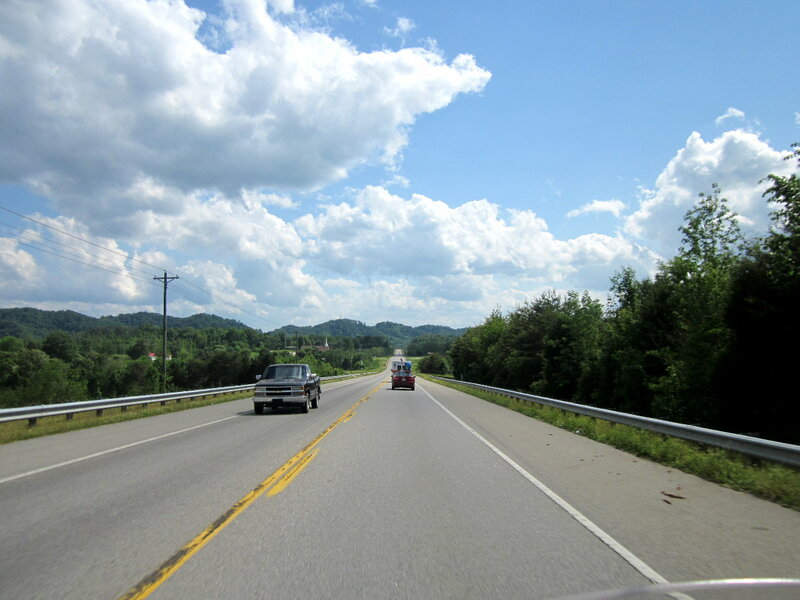 Once you get passed Whitley City there aren't many restaurants until you get over the mountains. John and I conversed and decided to stop somewhere beforehand. I knew from my trip research there was supposed to be a Huddle House in Whitley City. As we went through Burnside we passed the railroad trestle I like. There was a train setting on it. Norfolk Southern changes crews here. We passed the Burnside park that I think would be a nice place to visit. We passed a Jeep that flashed his headlights presumably warning us about a cop running radar (that we never saw). We passed the turn off to Cumberland Falls that I've been to a couple times. At Whitley City we found the Huddle House. As we had lunch it started raining, then stopped, then started raining again. It was nice to be inside. 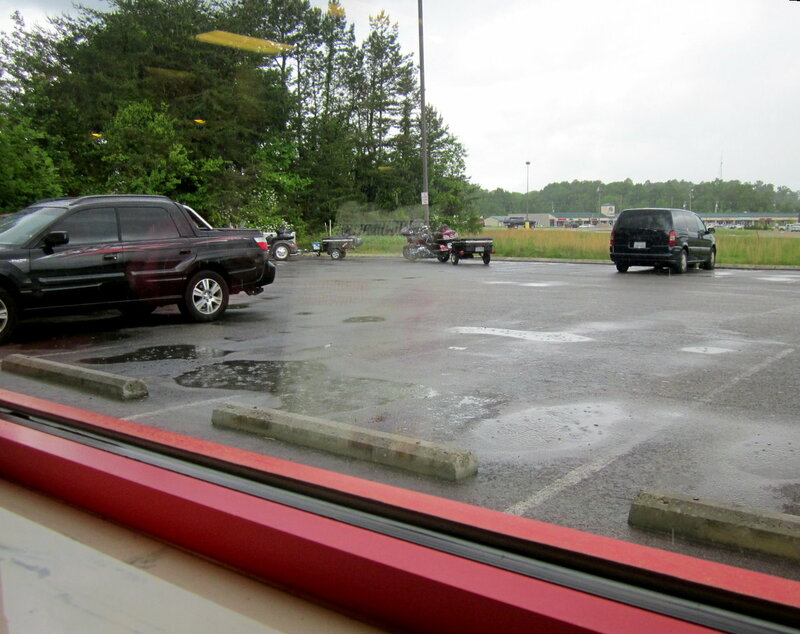 The food was good as Huddle House usually is. I got a club sandwich and ate most of it. I still wasn't real hungry. When we left it was sprinkling a little. It sprinkled off and on to Stearns and beyond. Passed Stearns the road (US27 since Stanford) crosses the mountains into Tennessee and gets curvier. Not super curvy, but enjoyable. I forgot to deploy my camera earlier so no pictures of this leg. The railroad tracks loosely follow the road and I've been looking for trains. 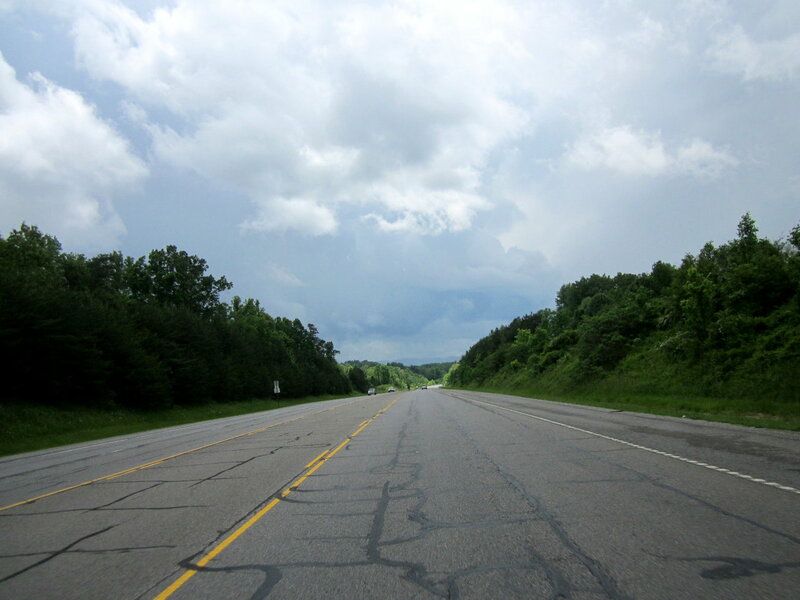 When we passed Wartburg we were on roads that were new to me. Passing through Harriman I saw some movement on the right and I caught the tail end of a coal train with two diesel pushers. There was a cool old trestle next to the highway that went across an old iron bridge. A great place for a fishing pole and train watching. Donna requested a bathroom break with some urgency. I knew the highway was approaching I-40 so I kept expecting to find a plethora of gas stations. By the time we reached I-40 there were none. Passing under I-40 I saw one so I pulled into the turn lane...nope closed. Down the road to the next one...it was closed too. Third time was the charm. Harriman, TN. 14:12, mileage 70,739 - As we stood around stretching I heard a rumbling, whining sound. Train! A Norfolk Southern freight train. It was behind trees so I didn't get any good pictures of it. 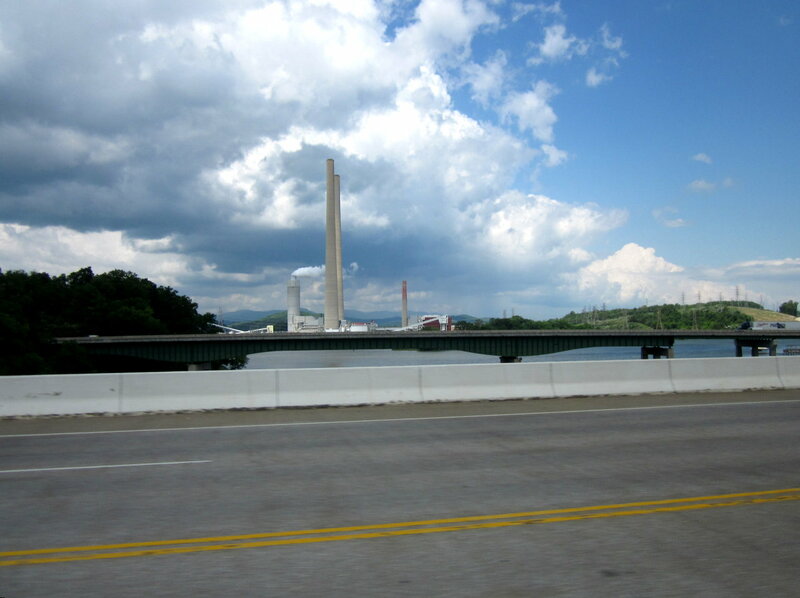 From here we took US70 through Kingston and Lenoir City. These were new roads for me and they turned out to be nice and peaceful. 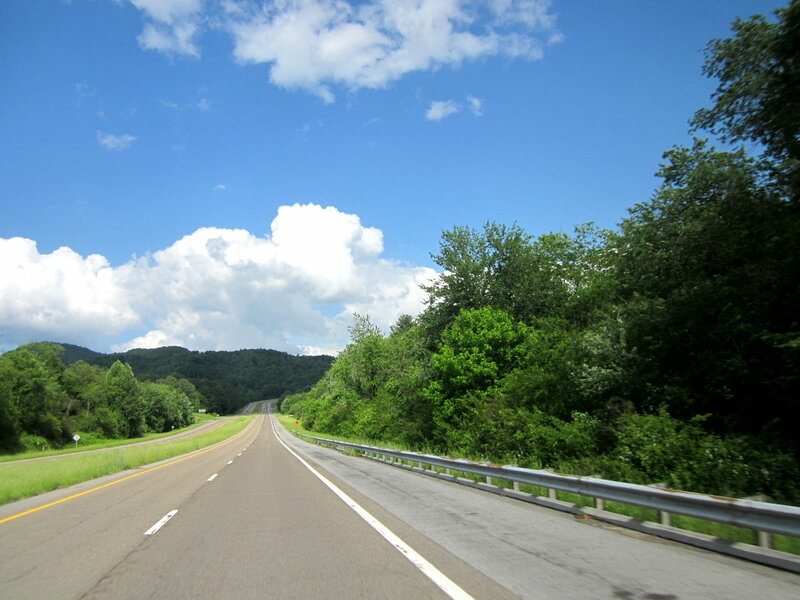 We were always in the shadow of I-40 or I-75 but give me two-lanes any day. 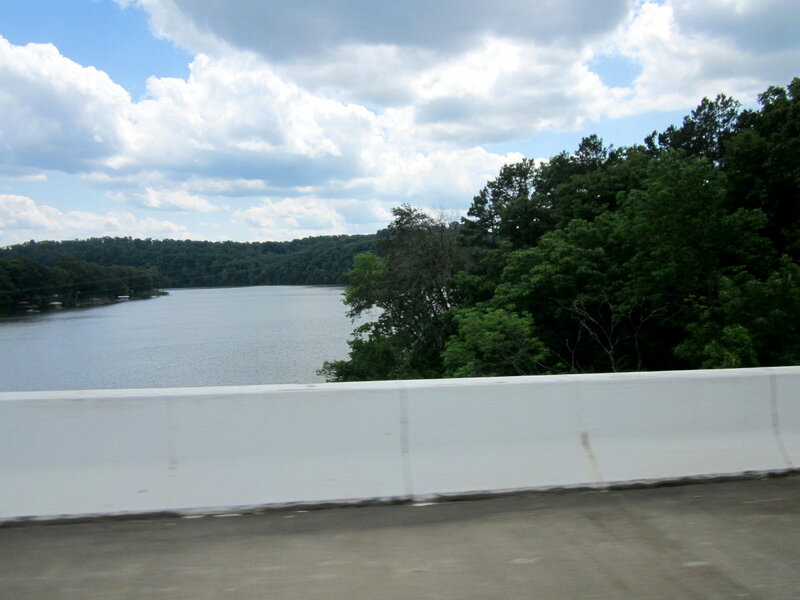 We passed some rivers and lakes and dams. Very scenic. Traffic was light and it was a nice ride. 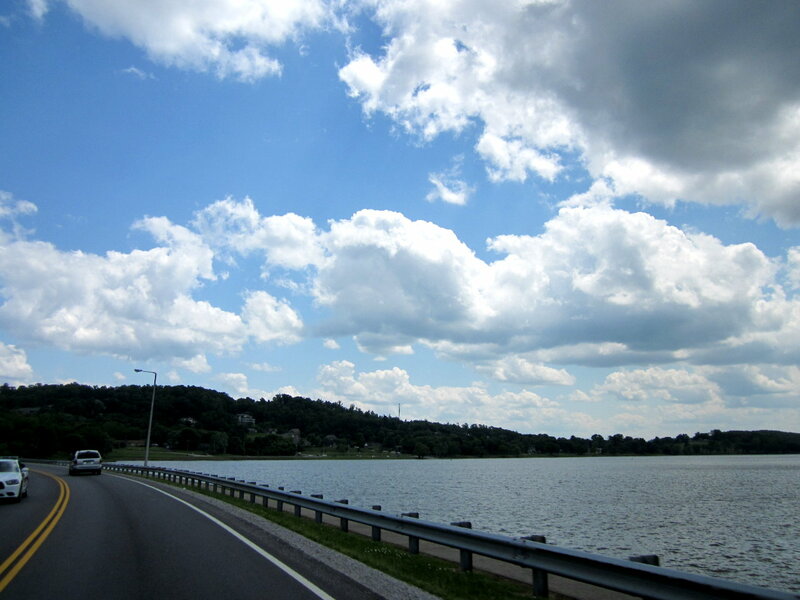 At Loudon TN-72 took us by some more lakes. 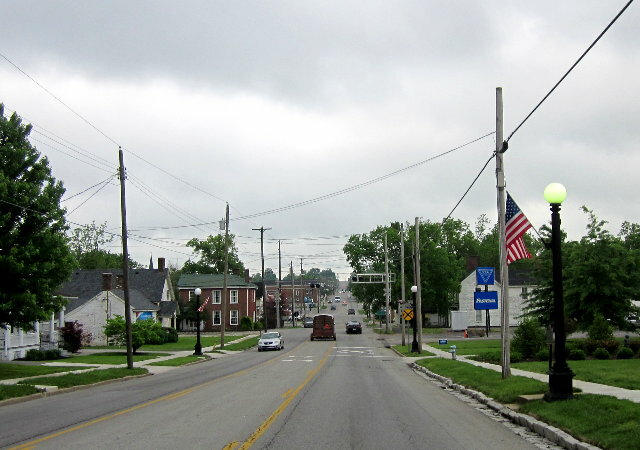 We turned onto TN-68 at Madisonville. 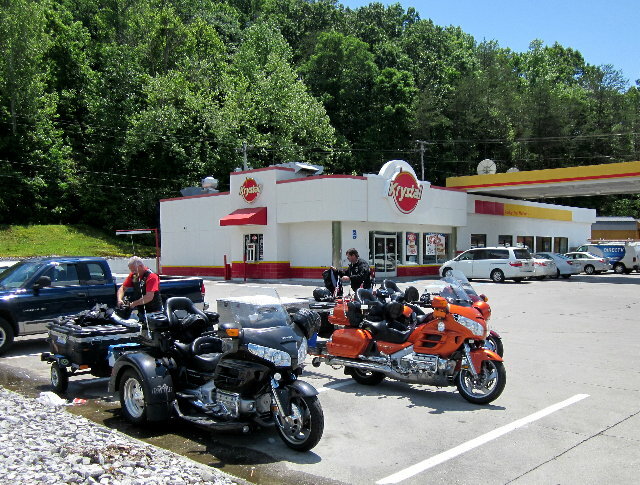 It was time for a fuel and stretch break as we neared US64. I assumed there would be a gas station or two at the intersection. Nope. 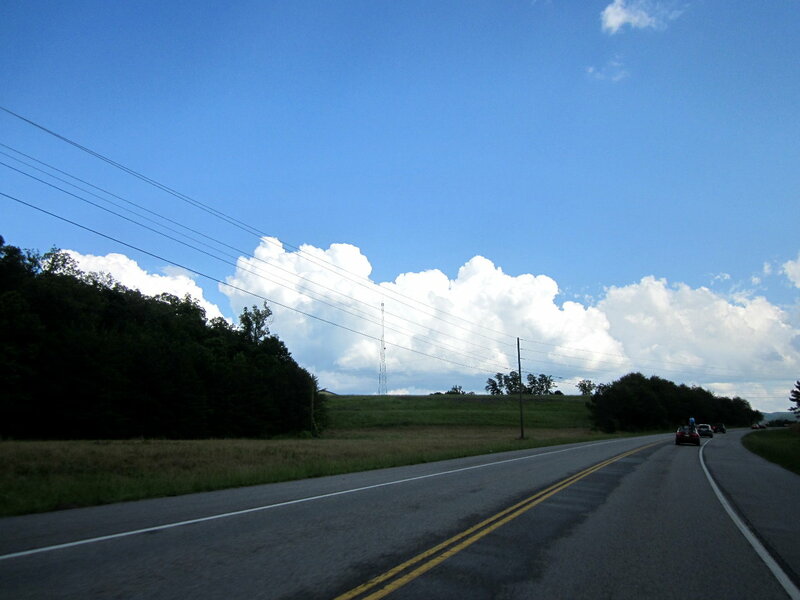 We headed east towards Blairsville. 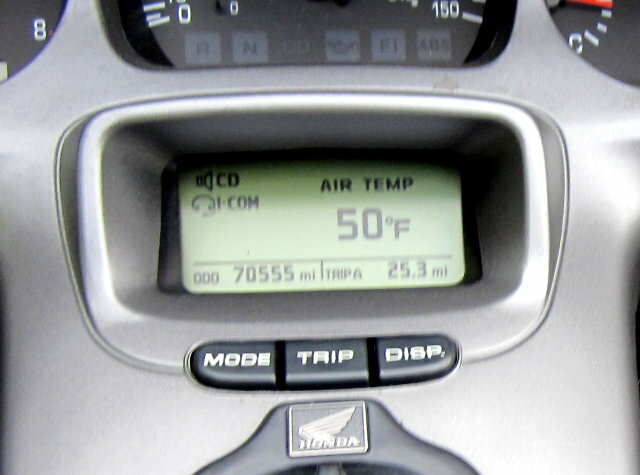 Mile after mile passed with no gas stations. There seemed to be a lot of business that were closed that were open in 2011. Ranger, NC. 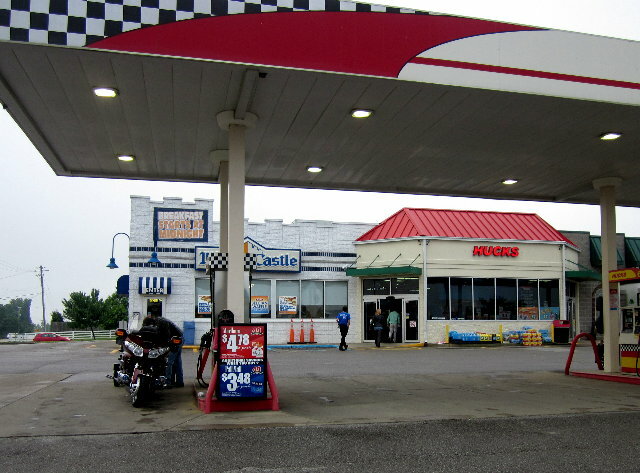 17:16, mileage 70,854 - We finally found a gas station not far from the US129 turnoff to Blairsville. It felt good to be getting close to our cabin. 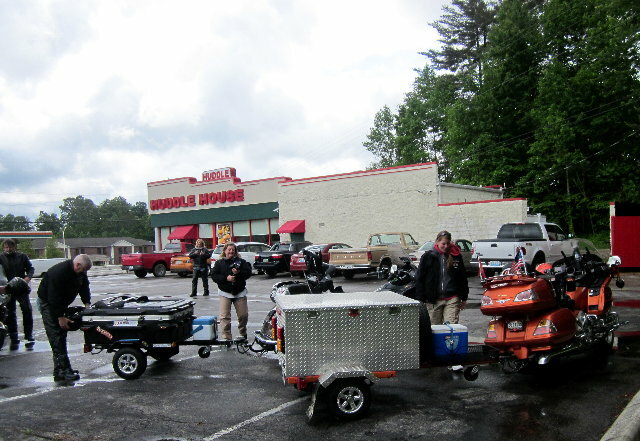 There were a couple guys unloading bikes from a trailer. The first one fired up and was loud. The second one wouldn't start. 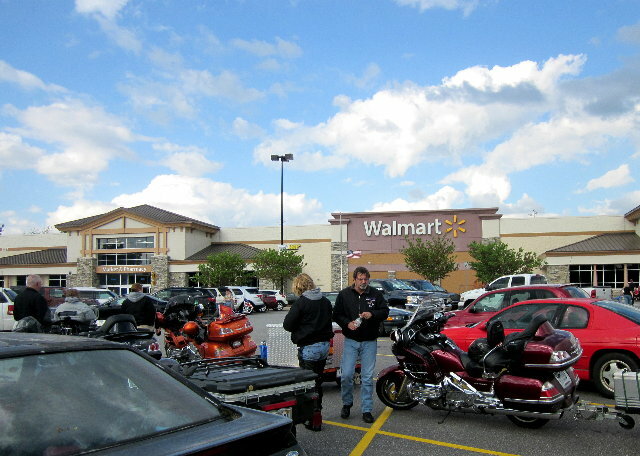 We decided to stop at Walmart in Blairsville to get supplies before going to the cabin to save ourselves a trip. I love this part of the trip. It means the vacation is just starting. It's fun pushing the cart around loading it up with supplies for vacation. The groceries seem to represent all the fun we are going to have. We decided to have lunchmeat sandwiches and chips for supper. We also decided the deli lady should get an award for slowness. Groceries stowed we headed the last 14 miles to the cabin. 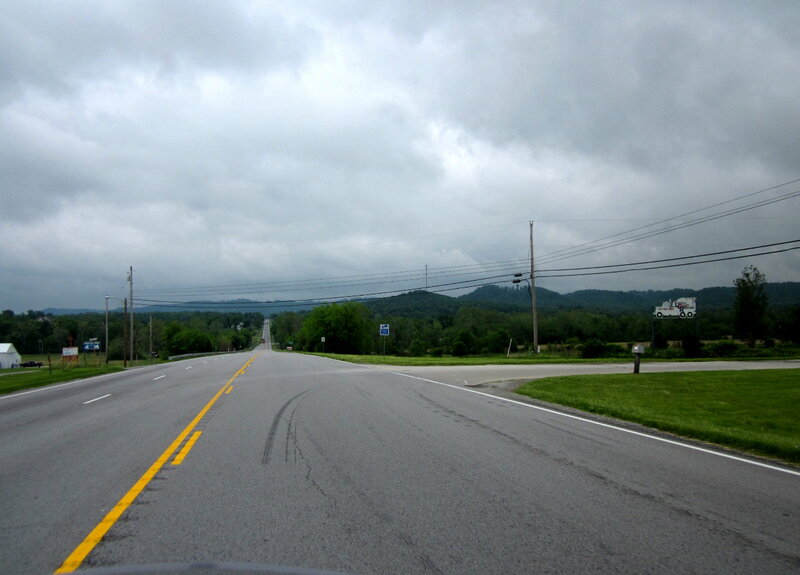 US129 through Blairsville. 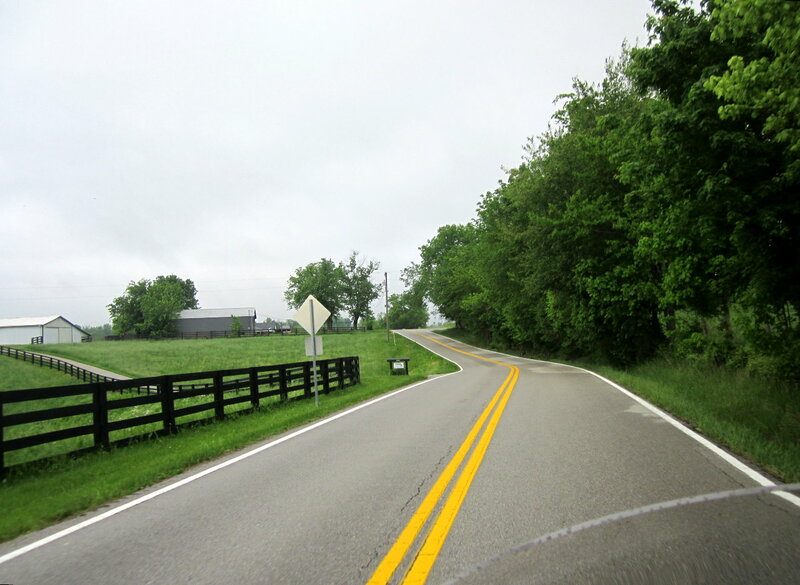 Turn left on GA-180, then right onto the Russell Johnson scenic byway. Left on Craig Gap Road. 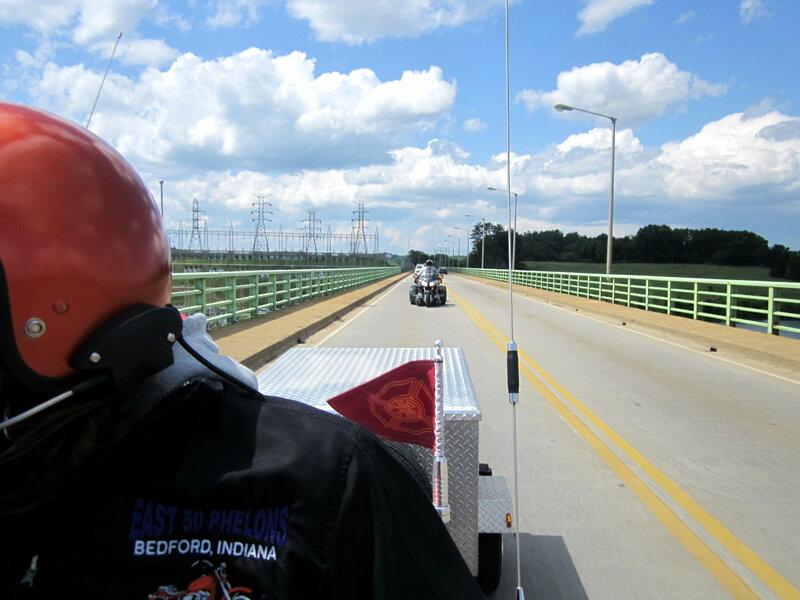 It was a narrow and windy road marked for two lanes but really about one lane wide. Finally we turned onto Choestoe Lane where the cabin is located. We knew from the advertisement there was some steepness to the cabin road and parking area. We weren't prepared for what we encountered. The road to the cabin was steep! The initial climb was steep then you hit a concrete section that is even steeper. The cabin is after the concrete section. The parking area wasn't as steep as the road but it was still steep, too. I knew from looking at the cabin pictures that the bottom of the parking area was the flattest so that is where I pulled in. My bike was still slanted more than I like and Donna and I dismounted carefully. Mike pulled in behind me and was in the same situation. John had no problems. Advantage trike. We unhooked the trailers and parked them uphill. I ended up pulling my bike uphill then backing it slowly onto a paver section next to the rear deck. Mike parked in front of the stairs and used one of John's chocks and zipties to hold his brake lever on. 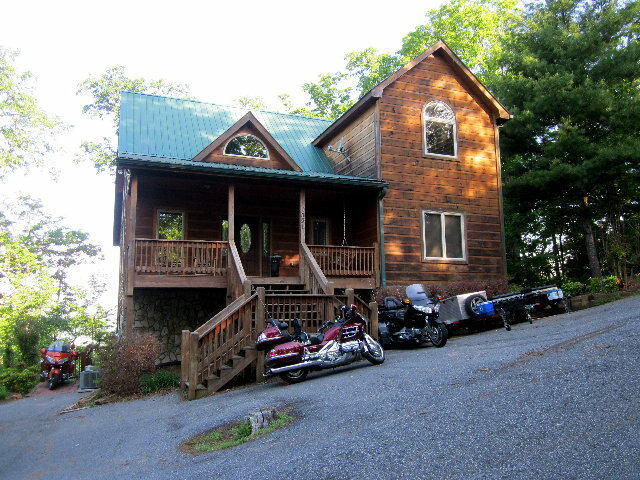 Here is an overall view of the cabin and the steep parking lot. Steepness aside, the cabin is beautiful. 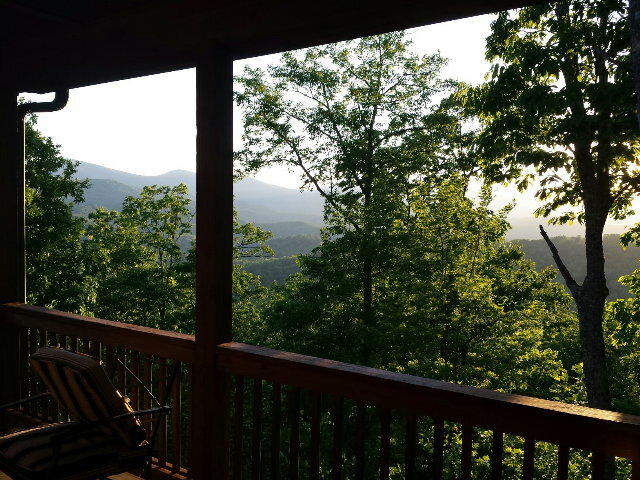 There is a gorgeous view of the surrounding mountains from the rear deck. John & Debby took the upstairs, Mike & Jerri took the downstairs, and Donna & I took the middle. Each bedroom has an attached bathroom. There was a half bath on the middle floor as well. We unpacked, cleaned up, ate supper, and lounged around on the back deck soaking in the beautiful and relaxing view. It felt good to be on vacation. I didn't sleep good last night but tonight I will. Ahhhhhhhhhh.